What makes a film score unforgettable? 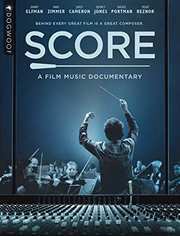 Featuring Hans Zimmer, James Cameron, Danny Elfman, John Williams, Quincy Jones, Trent Reznor, Howard Shore, Rachel Portman, Thomas Newman, Randy Newman, Leonard Maltin, and the late James Horner and Garry Marshall, SCORE: A FILM MUSIC DOCUMENTARY brings Hollywood's elite composers together to give viewers a privileged look inside the musical challenges and creative secrecy of the world's most international music genre: the film score. A film composer is a musical scientist of sorts, and the influence they have to complement a film and garner powerful reactions from global audiences can be a daunting task to take on. 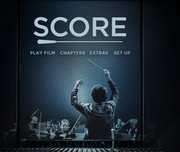 The documentary contains interviews with dozens of film composers who discuss their craft and the magic of film music while exploring the making of the most iconic and beloved scores in history: "James Bond", "Star Wars," "Indiana Jones," "Pirates of the Caribbean," "Titanic," "The Social Network," "Mad Max: Fury Road," and "Psycho."